A man was sentenced Friday to 45 years in prison for fatally stabbing his wife in a rage triggered by jealousy and then killing their two toddlers. NEW YORK — A man was sentenced Friday to 45 years in prison for fatally stabbing his wife in a rage triggered by jealousy and then killing their two toddlers. Miguel Mejia-Ramos, 29, of New York, pleaded guilty to manslaughter last month for the January killings. Mejia-Ramos had been out drinking at a friend’s house, authorities said. He came home, rifled through his wife’s phone and Facebook account, and snapped when he saw a photo of her with another man, they said. He pulled a knife from a butcher block as 21-year-old Deisy Garcia slept, chased her from her bed and stabbed her to death, Queens District Attorney Richard A. Brown said. 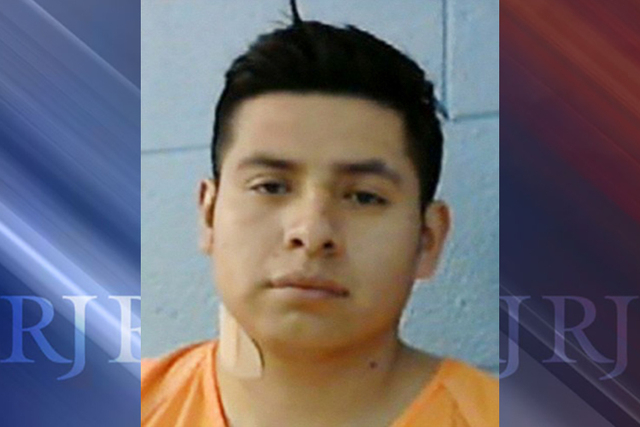 He then hugged and kissed 1-year-old Yoselin and 2-year-old Daniela before repeatedly stabbing them, too. Authorities tracked him to Texas, about 1,700 miles from New York, when he turned on his cellphone. He was captured at a vehicle roadblock on Interstate 10 in Schulenburg, between Houston and San Antonio and about three hours from Mexico.